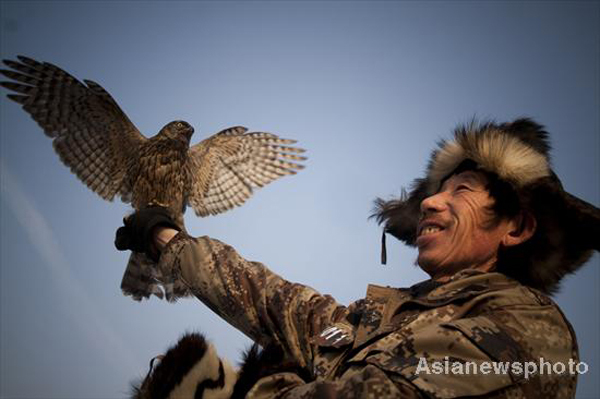 Da Yulou village, located by Songhua River in Northeast China's Jilin province, is home to the country's last living ancient falconry tribe. Falconry in Jilin province and Xinjiang Uygur autonomous region has become China's most characteristic intangible cultural heritage. The village was the cradle of civilization during the Jin Dynasty (1115 - 1234), and became a royal tribute base in 1658 during the Qing Dynasty (1644 -1911). Since then the empire's troops settled down and trained hawks as a tribute to the royal family, and their descendants handed down the falconry technique and preserved their traditional hunting culture. Falcons are thought to be holy birds by many hunting civilizations in China, including the Manchu ethnic group, who hunted with trained falcons. 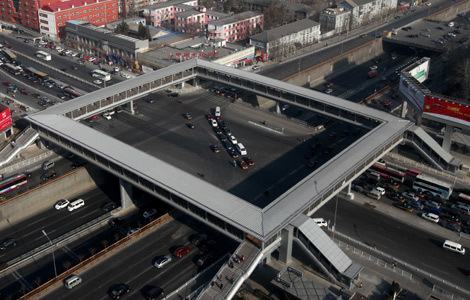 They called a perfect falcon Hai Dongqing, meaning "green falcon flying over from the east side of the sea." 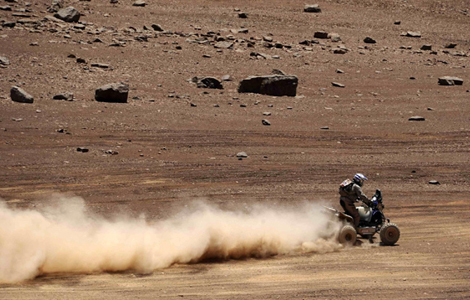 The falcon-training and traditional hunting cultures have maintained a presence for nearly a whole millennium here. 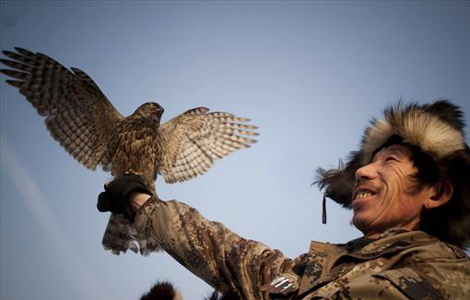 Expert Cao Baoming said that China boasts the biggest falconry population and Da Yulou village is a typical falconry area. More than 70 percent of its villagers raised and trained falcons during its heyday. And now there remain more than 50 households raising falcons. The village was renamed Falcon Village in the 1980s by Jilin officials.